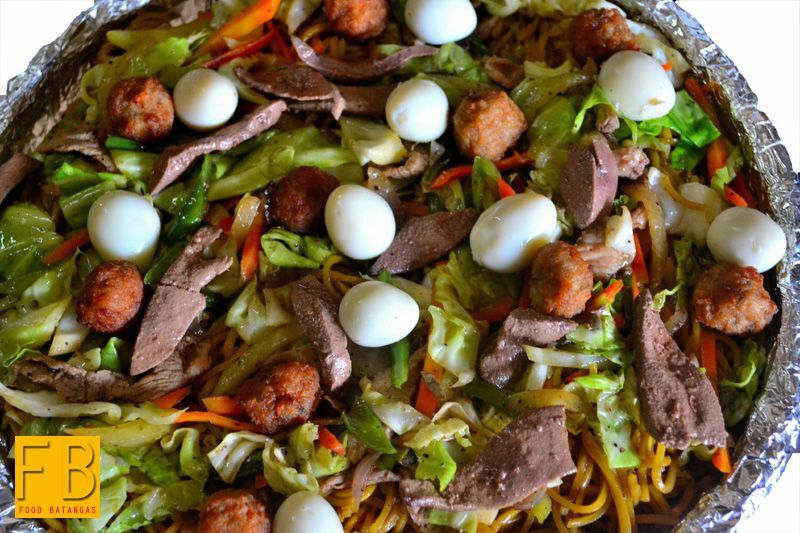 Perhaps, the name Lomi-licious is a tad deceiving. There is lomi, yes; but Tia Ila’s little budget restaurant in Pallocan West, Batangas City offers a bit more than what its name declares. True, a friend and I were self-invited guests; but our hosts, Roland and his beauteous wife Jenny Samaniego, were generous and laid out a banquet large enough to have fed the entire cavalry. The lomi and goto had better be good, I jokingly warned the friendly lady at the counter. We are from Lipa, I added. Her grin immediately told me that the non-too-subtle hint was not lost on her. It is public knowledge, after all, that the lomi is a certifiable Lipa patent. When it came, to be honest the bowl of lomi was authentic Lipa. Of course, the knowledgeable knows that that statement simply means that it came sans the offending vegetables. It was also worthy of a mention next to that served in countless little lomi joints around Lipa; but no more. Certainly not worth driving for if one is coming from Lipa or thereabouts; but at least reason enough for those in Batangas City and neighbouring communities not to bother driving all the way to Lipa just for a bowl. It was the goto, though, that captured my imagination. Thin strips of onion leeks and annatto – atsuete – gave it colour and a flavour quite distinct from the goto I was more familiar with in Lipa. In fact, my taste glands were immediately communicating to my brain that this was better than the goto I had tried in various joints in Lipa; and certainly worth driving out all the way to Batangas City for. As a bonus – and this is strictly personal – the goto only had small cubes of tripe, lengua and meat from the ox head in it. None of the unappetizing green bits of innards one gets served sometimes in Lipa that appear as though they were of the sort that the cow was getting ready to drop onto the ground before it was taken away to meet the Almighty. I loved the dinuguan as well. The sauce was thick black; and the blend of saltiness and sourness was exactly as my Mom used to do it. My only disappointment with it, though, was that it was made entirely with meat from the pig’s head. This, I was told, was because some customers are averse to eating innards. On the other hand, there are those like me who cannot think of dinuguan with anything but intestines. As long as the intestines are properly cleaned, they will be so much more chewy in comparison to the lame resistance that pork can offer one's teeth. The bulalo, perhaps, suffered from mislabelling. If it was served as nilagang baka – beef stew the Filipino way – then I would have called it a raving success. Expectations, though, have this curious way of subsequently influencing taste. Therefore, I rather thought that the vegetables – and there was plenty in the bowl – overpowered the flavour of the beef which anyone who orders the bulalo is naturally expecting to taste more of. I liked the sisig. To be honest, there are those who will probably love it. On the other hand, I love my sisig dry, crunchy and spicy. The sweetness of Tia Ila’s sisig – if subtle enough – did not quite fully agree with my palate. That said, I will not mind ordering it once in a while. The one other offering that captured my attention was the pritong lumpiâ. I am a great fan of the lumpiang toge (monggo sprouts). At Lomi-licious, though, the lumpiâ had not only toge but camote (sweet potato) as well. I had not encountered this combination before; so I was surprised that such an odd couple could actually turn out to be a blissful marriage. The lumpiâ, I was told, is a house bestseller. I could imagine why. It was both a viand for a meal and a snack. Tia Ila’s Lomi-licious makes no pretensions about what it is. It is a budget diner; and indeed, the steady stream of customers that came and went while I was there was made up mostly of employees of SM-Batangas City nearby. What’s more – and whisper this quietly – the prices are unbelievably cheap. The bowl of lomi that I was served was supposed to be regular; and priced at a mere 35 pesos. Yet, the bowl was big enough to have passed off as ‘special’ anywhere in Lipa. Moreover, many joints in Lipa now charge at the least 40 pesos for a bowl of special lomi. There was a plate of canton that I only tried a spoonful of. I could not believe that that large plate cost no more than 55 pesos. It could have been a snack for two people! At the end of the day, it is all about the food; and in the matter of food, Tia Ila’s Lomi-licious is remarkably honest with what it serves. I might have preferred certain dishes over others; but none of those that I tasted I could call poor. In fact, they were all pretty good. Those who live in Batangas City and neighbouring communities, along with those who are visiting, who may wish to give Tia Ila’s Lomi-licious a try cannot miss the place. It is very close to SM City-Batangas and right next to the Andok’s Restaurant.